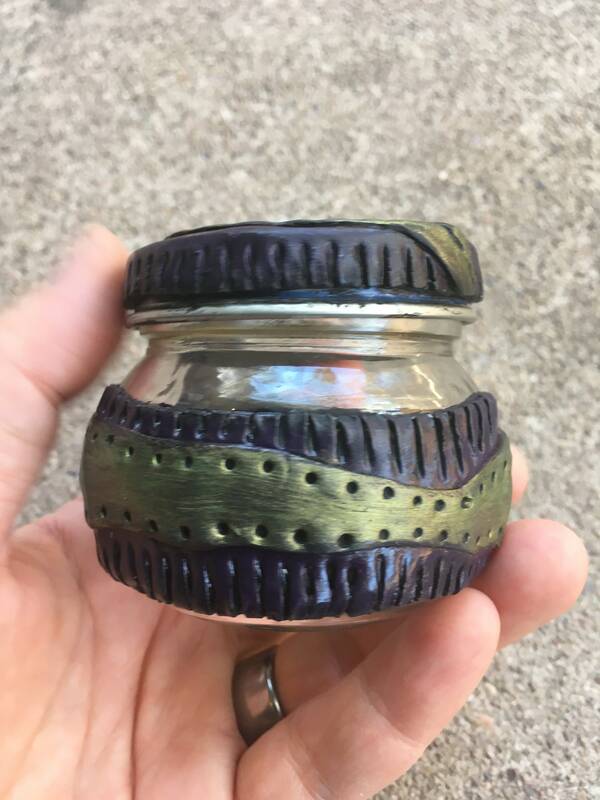 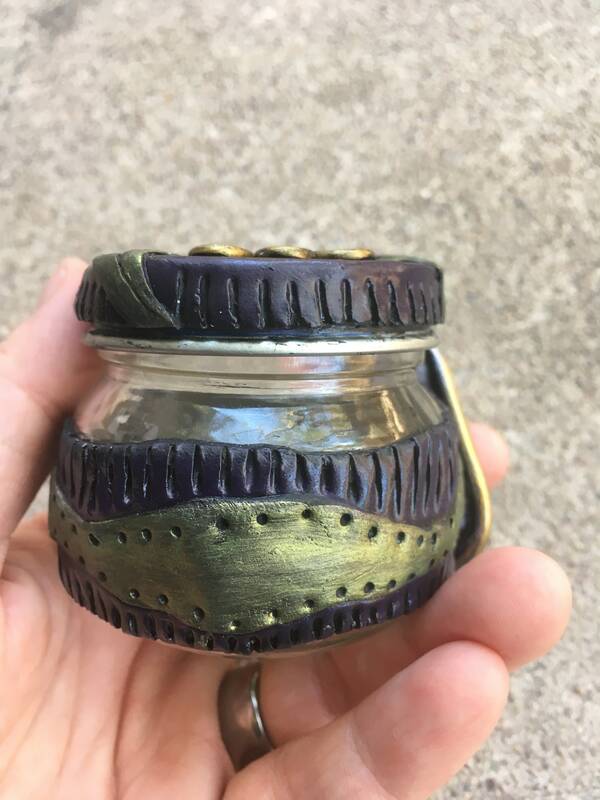 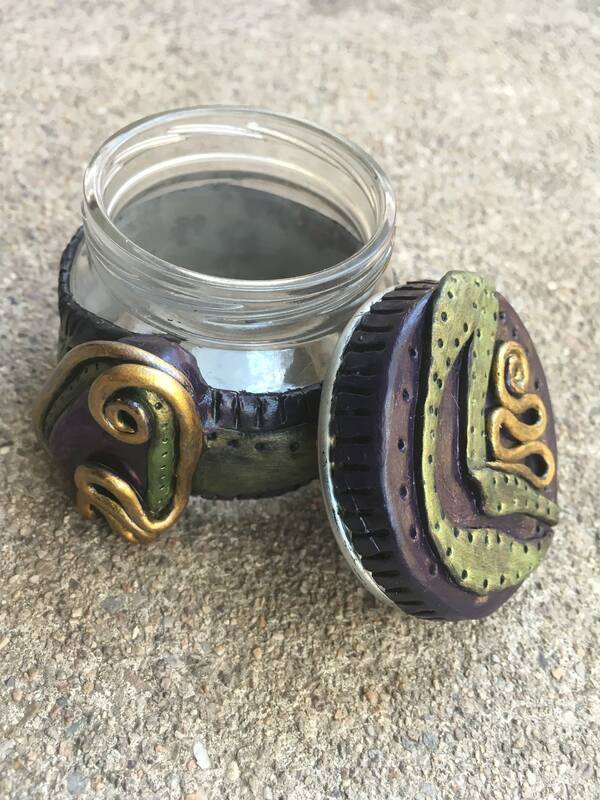 This stash Jar is handmade using an recycled baby food jar. 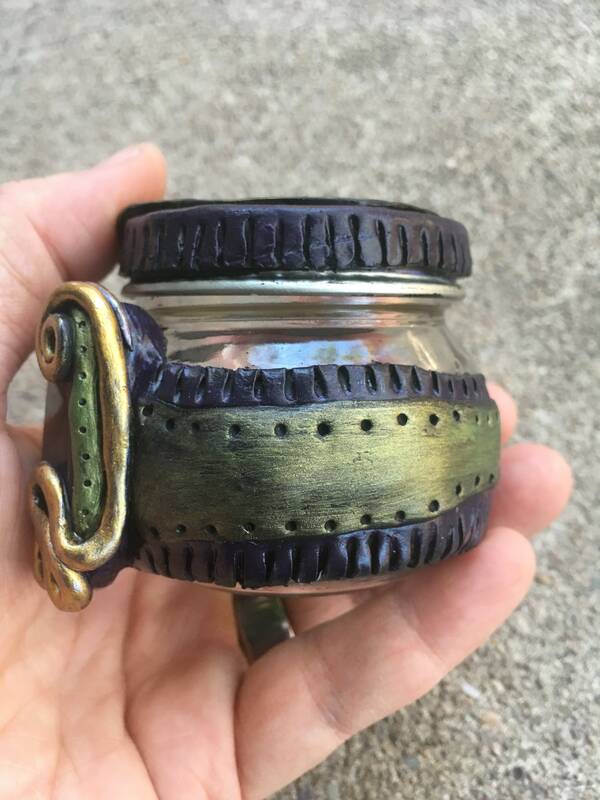 Accented with a beautiful purple anodized Hematite! 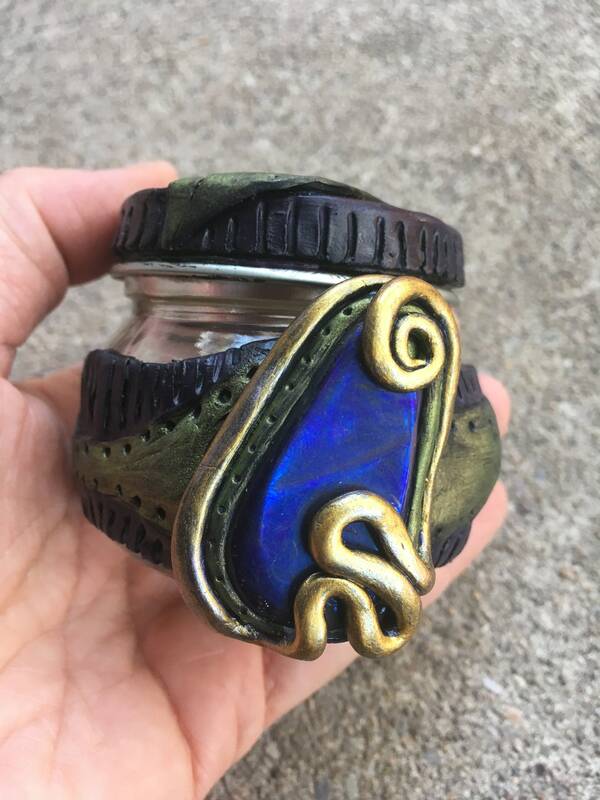 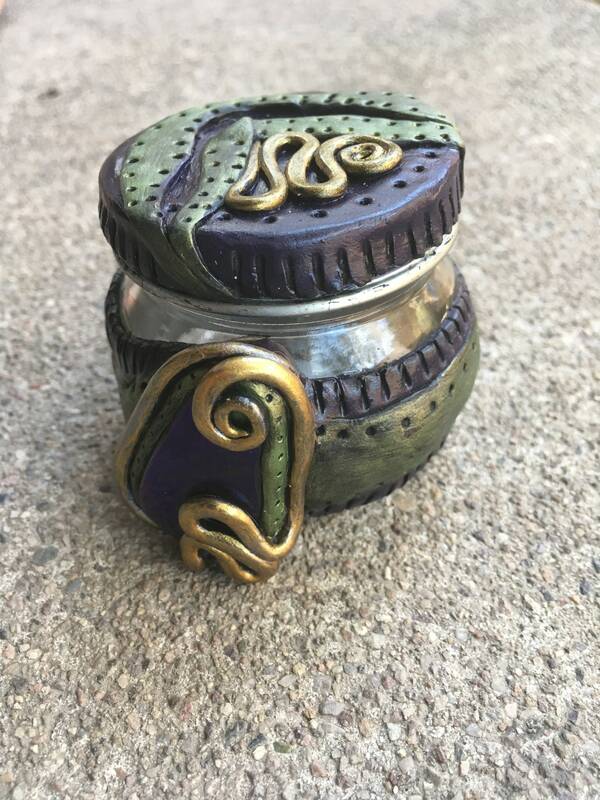 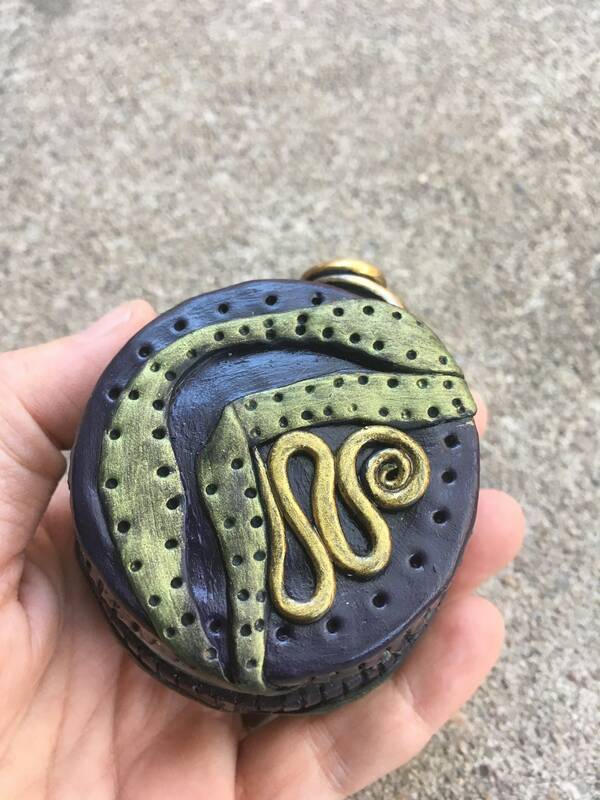 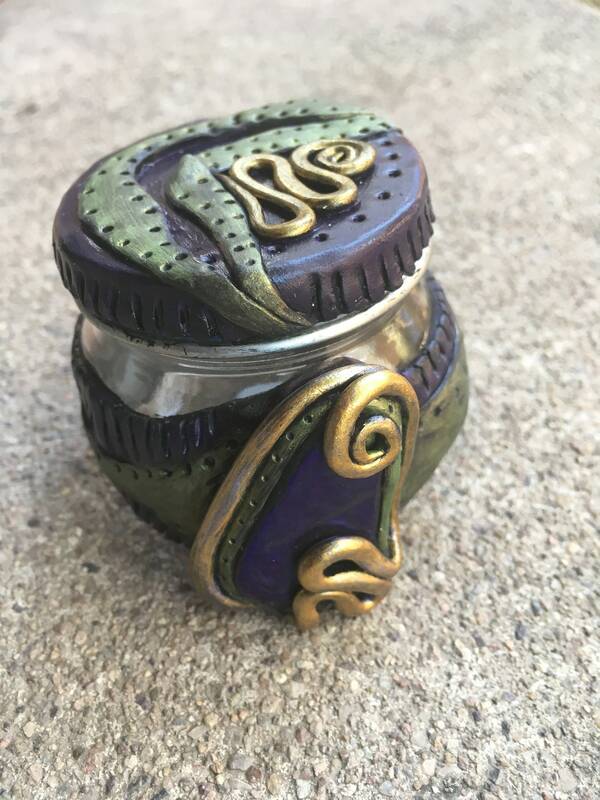 The jar and lid are wrapped in sculpted polymer clay then hand painted and sealed.